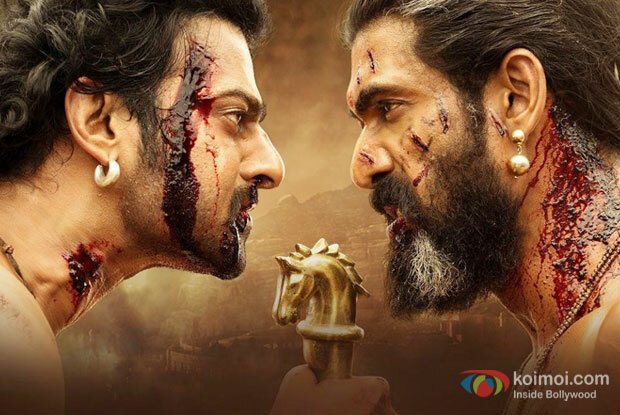 Baahubali 2 has managed to create history with its box office collections in India.The film has taken a stupendous start with a collection of nearly 38 crores for its Hindi version on day one itself. Compare this to its prequel and the numbers are hardly anything. Interestingly, the film will be almost making a collection of 130 crores* from all versions on day one itself. These collections are much more than the lifetime collections of some of 2017’s highest grossers so far. Considering that the film got a huge screen count in overseas too, it was quite clear that the film will rock the international collections too. The film has taken a phenomenal start in US and Canada circuits. The collections are as huge as $2.6 million which comes close to almost 17 crores. Apparently, the film has grossed even more than Hollywood releases and that this is the first time an Indian film is topping the charts. With its release in over 6500 screens in India and over 9000 screens across the world — the highest for an Indian film till date — “Baahubali 2: The Conclusion“was anyway expected to set new highs in terms of box office collections, say trade pundits and theatre chain owners. The film is proving all the estimated numbers wrong now. Helmed by S S Rajamouli, Baahubali: The Conclusion stars Prabhas, Rana Daggubati, Anushka Shetty, Ramya Krishnan, Sathyaraj, Tamannah Bhatia in lead roles. Collections from other international circuits such as UAE-GCC, Malaysia, UK are set to be updated. Looks like after the updated figures, Baahubali 2 will be making a new record in overseas markets too. So far, we have only seen a craze for Aamir Khan films in the overseas markets but looks like Baahubali will cross all records. Stay tuned for updated figures here! The post Baahubali 2: Massive Collections At The Overseas Box Office appeared first on Koimoi.